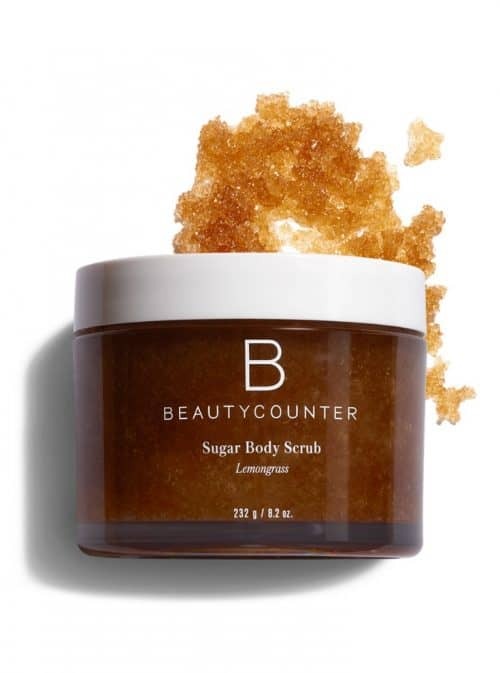 Body Scrub without Oil, is just what you are looking for if you want a sugar scrub made without oil! Sugar scrubs are easy to make, are great to give as gifts and won’t break your budget! If you are looking for younger looking, glowing skin, using scrubs to exfoliate that are full of chemicals you can’t pronounce, artificial and unnecessary ingredients isn’t gonna cut it! 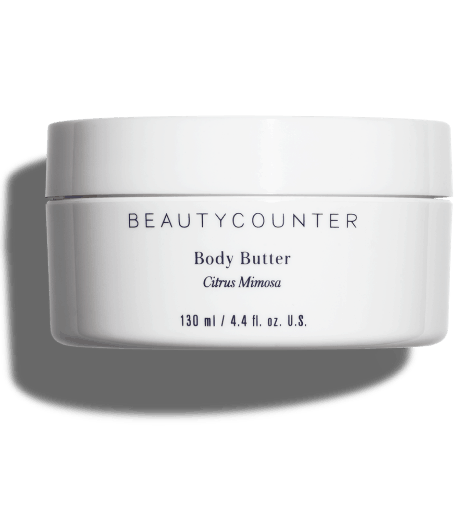 Enter Body Scrub without Oil. A non oil based sugar scrub makes it a non-oily sugar scrub recipe. While it is perfect for any type skin, those with acne prone or oily skin will especially feel the benefits. There are not many DIY body scrub without oil recipes so, I hope you enjoy this one! 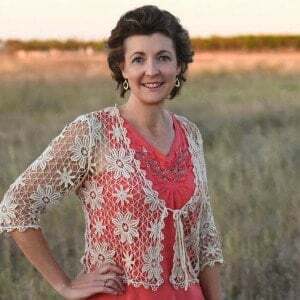 Why Are Oils Commonly Used in Homemade Body Scrubs? Oils are used in homemade sugar scrubs because they help soften the skin, as well as, bind the other ingredients together. This can be done also by ditching the oil and using honey or aloe vera gel. When using a body scrub with honey, please note that it will tend to be sticky. But, it is worth it – see the reasons to use honey below for the benefits. If the stickiness of honey bothers you, choose aloe vera instead. Why Use Honey in a Body Scrub Without Oil? Honey is wonderful for your skin. It gently cleanses yet does not strip or dry out your skin. Plus, it is good for all skin types and leaves your skin smooth, moisturized and silky soft! When using raw honey, it has natural antibacterial properties which makes it great for acne prone skin. Honey is also full of antioxidants so it may help slow signs of aging while nourishing and protecting your skin. Bees use an enzyme known as glucose oxidase to make honey. Glucose oxidase breaks glucose (sugar) down into hydrogen peroxide, making it a great anti-septic used to fight germs. The amount of hydrogen peroxide is limited, occurring where the moisture contacts the honey, creating a fine oxidizing layer which literally “rusts” the germs to death…along with dehydrating them. Honey’s slight acidic Ph (between 3.5 and 4) discourages the growth of bacteria. Honey is hygroscopic (draws moisture from its surroundings) in nature. Bacteria that come into contact with honey lose their moisture content, through osmosis, to the surrounding honey and die. 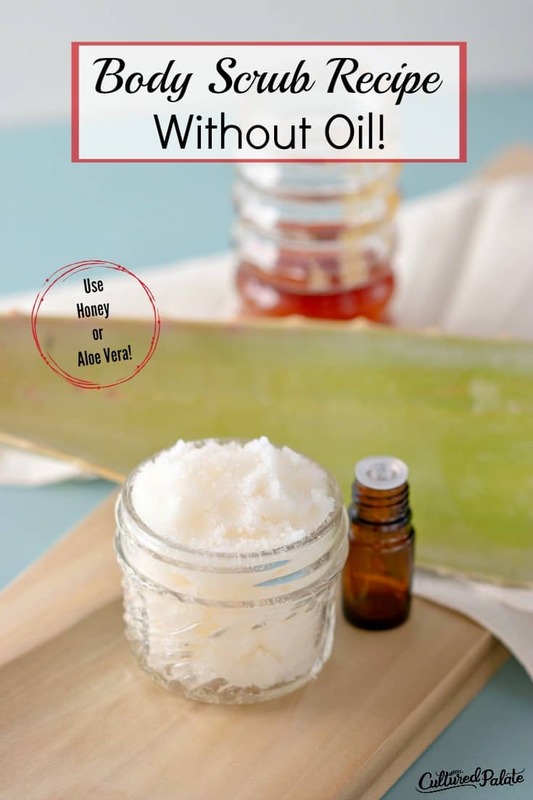 Why Use Aloe Vera Gel in Body Scrub? Aloe vera gel contains antioxidants, enzymes, Vitamins A and C, and it is highly anti-inflammatory. It can also help treat acne and dry skin. The enzymes in aloe vera gel is a gentle exfoliate to the skin so, combined with the sugar in the body scrub, you get a slightly deeper yet soothing exfoliation. Many think that applying aloe vera gel to your skin will help reverse wrinkles and other signs of aging. How Long Will This DIY Body Scrub Last? 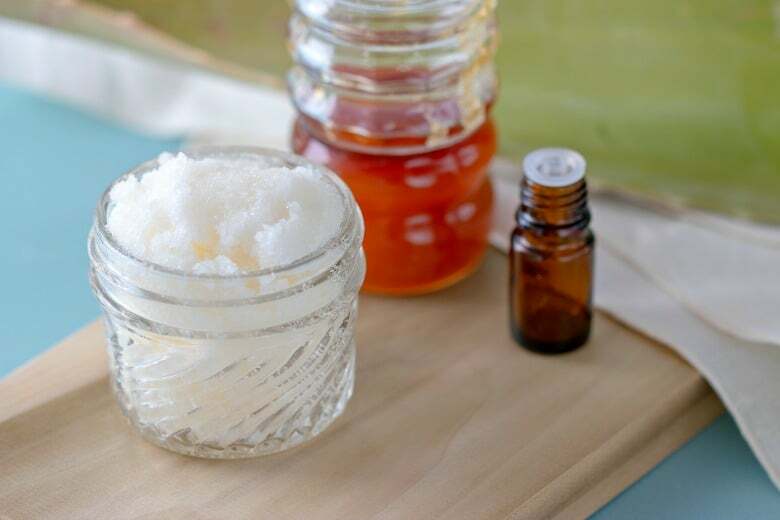 Because of the sugar content, it along with most other homemade sugar scrubs will last for at least a year. To be honest, I use mine up well before that. Honey and sugar both have antibacterial properties meaning your sugar scrub will last for a long time! If other additions are made like fresh or dried herbs, citrus rind, fruit or vegetable puree, the shelf life will be shortened. My Body Scrub Without Oil recipe, like other sugar scrubs, should be stored in airtight containers. I prefer glass jars and while there are many cute ones available, mason jars make great storage containers. Another great source of cute jars are Hobby Lobby and they are often on sale for 50% off. If not on sale, use the ever available 40% off coupon. Thrift stores are another place to shop for jars. Just be sure they are airtight! Body Scrub Without Oil for Gifts! People love being treated special with homemade sugar scrubs. This non-oily sugar scrub recipe is a special treat! To use for gifts: Make the sugar scrub recipe, place in jar and add a ribbon or bow and voila – you have a beautiful gift. essential oils – For an invigorating body scrub: 5 drops peppermint and/or orange. For a soothing and relaxing body scrub: 6 – 8 drops lavender. Mix ingredients together well in a small bowl. Apply a small amount to skin and rub in a circular motion for about 60 seconds. Repeat for remaining areas of body. Rinse with warm water using a facecloth to remove any remaining Body Scrub Without Oil. Have You Tried This Body Scrub Without Oil recipe – leave a comment and let me know! Not Into DIY or Making Your Own Sugar Scrub? 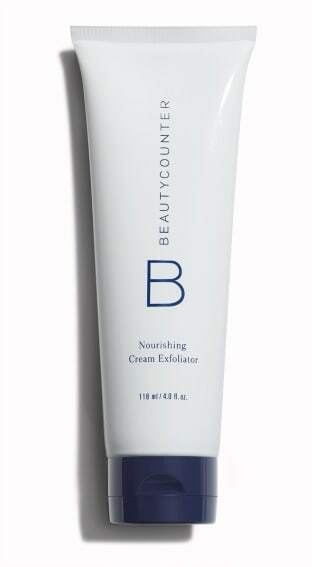 The Nourishing Cream Exfoliator by Beautycounter is another affective product to remove dead skin cells leaving you looking more youthful. Using jojoba beads, it gently exfoliates and removing dry, dull skin leaving behind a brighter, more youthful looking skin. It also contains organic coconut oil and aloe to soothe and hydrate your complexion.